You look great! Love the scarf; very Cary Grant. Snazzy! And I have bookcase envy. 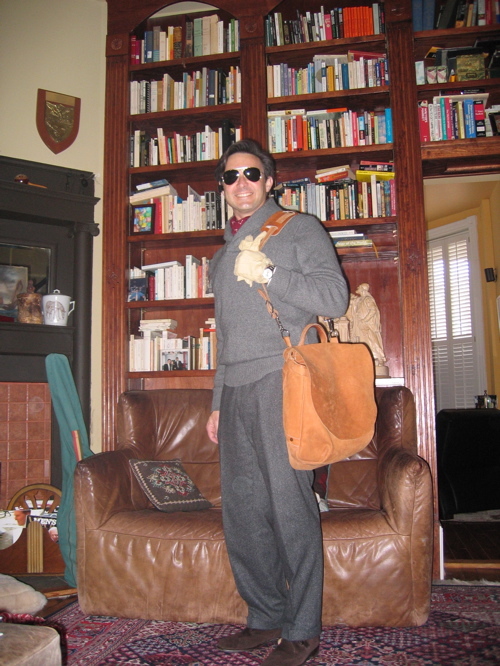 I bought that mailbag as well, I don’t use it anymore, I use one I bought at Il Bisonte on a trip to Florence. But that was a great bag. This picture makes me want to dig it out again. It’s the manly Kelly Bag.